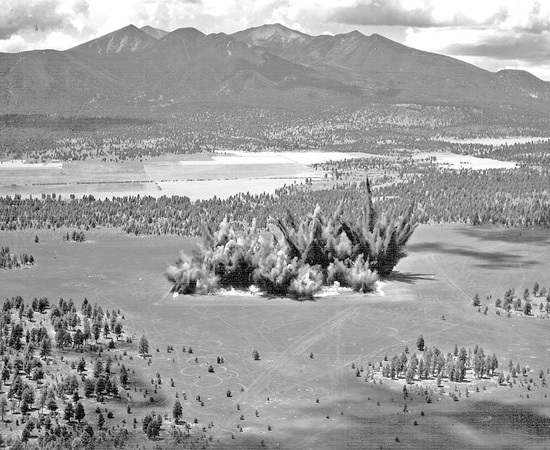 A few years before the first landing of an Apollo crew on the moon, scientists recontoured a volcanic field just outside of Flagstaff, Arizona, with artificial impact craters resembling those found on Mare Tranquillitatis, the proposed first manned American landing site. With high explosives, they terraformed a lunar surrogate right here on the surface of the earth. 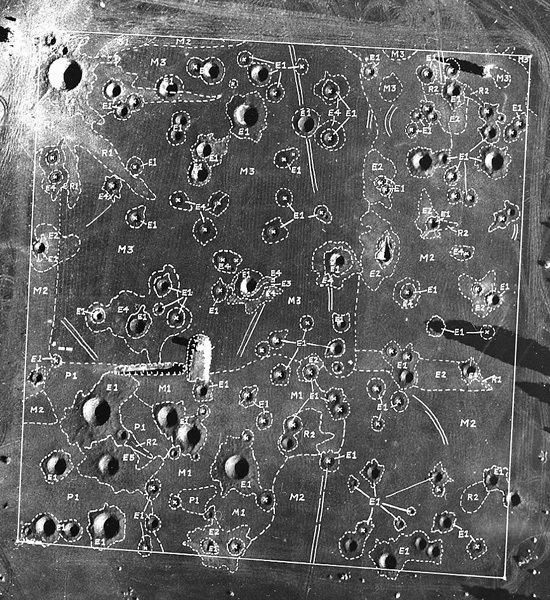 There, during the 60s and 70s, nearly all of the Apollo astronauts who walked on the moon were taught the basics in extraterrestrial exploration and earthworks. They learned how to make field observations, how to make maps, and how to properly collect lunar samples. It is there as well that the tools with which human beings would physically deform another world for the first time were tried out. Hammers, adjustable sampling scoops, rakes and tongs, rock drills and rover vehicles. Together with astronaut boots and gloves, these would soon leave an imprint, albeit minimal, where before meteors and the solar wind held a monopoly in lunar resurfacing. 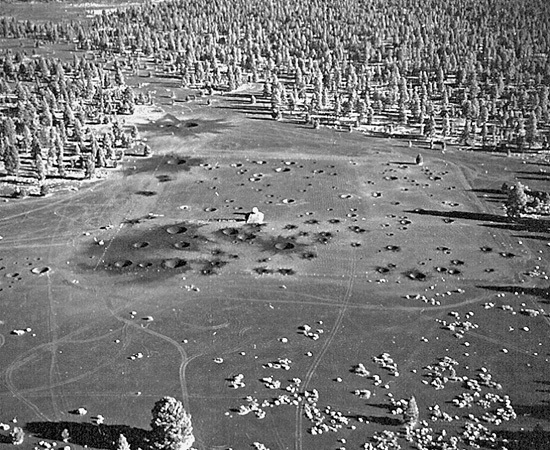 If we can digress here briefly, it would be to ask whether these simulated landing sites — where the earth is turned and upturned, displaced and scarred — are a kind of Japanese rock gardens. Because are not the tracings of human activity highly considered gestures, laden with abstract notions and cultural baggage? Are not these scoured terrains imprinted with a complex, messy network of interrelated cultural, political, technological, philosophical and even metaphysical concerns that are worth contemplating? 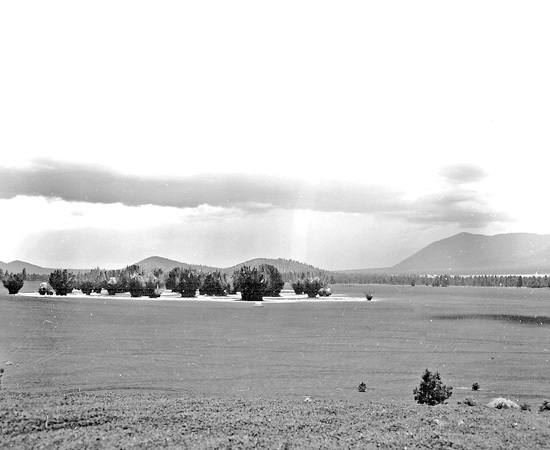 A field turned into a text which, if it cannot be understood through the writings of a revered Buddhist monk, can perhaps be deciphered through the Cold War speeches of John F. Kennedy. 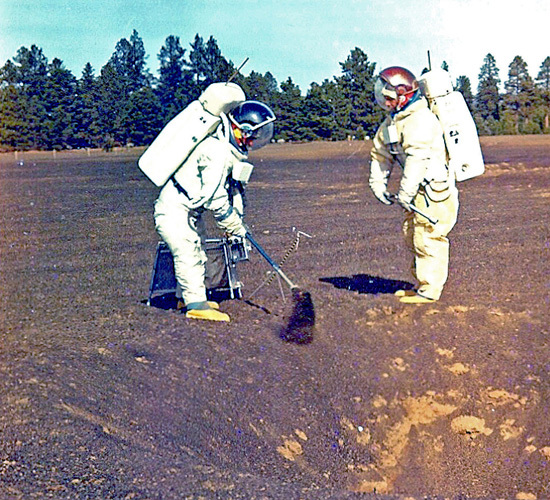 Did the astronauts not use a rake? 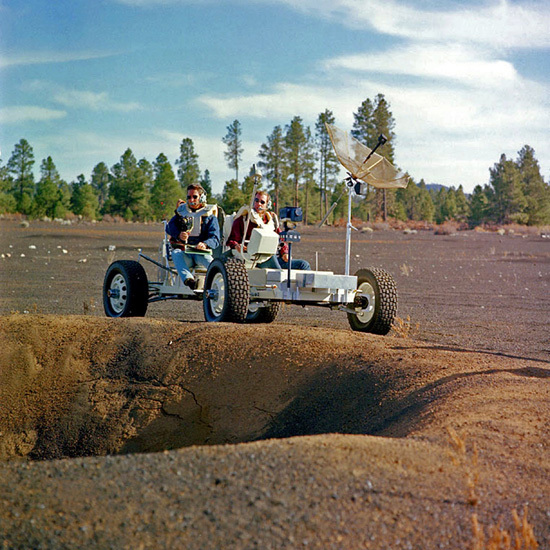 To return back to Crater Field, as the Arizona training site is called, one wonders whether there are other simulated moons out there, or in the drawing boards now that plans are underway for an American return mission. And is there a surrogate Mars, wherein a duplicate Opportunity tested entry descent scenarios into a duplicate Victoria Crater? Two things seem worth mentioning right about now. Firstly, a post at Wired Science last month told us that a group of nine intrepid scientists and engineers spent four months cooped up together in a remote simulated Martian habitat. Their space habitat (the size and shape of an expected martian abode) is located near a crater on Devon Island above the Arctic Circle in Canada. The simulation is an experiment in planetary exploration and its demands. The team was looking at what happens to a crew in a remote, harsh, close-quartered environment under simulated Martian conditions (crews would only go outside the habitat during a fully simulated EVA) when they are working on real science. But one last thing: are there others? Hey... any idea how to find this place or what kind of state its in? You can find it here on Google Maps. As for recent photos of the site, there are some here, towards the bottom of the site. From the looks of things, the craters aren't that prominent anymore. 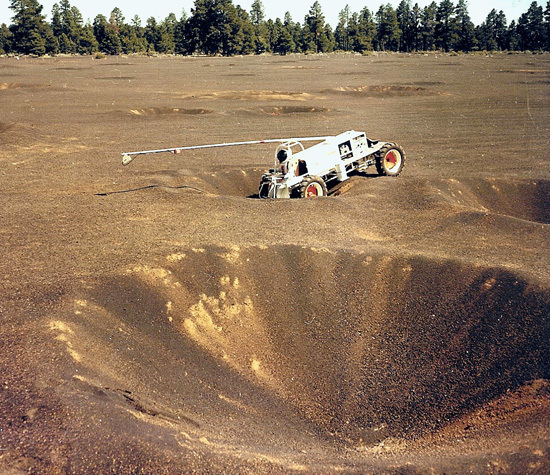 I remember seeing a photo from somewhere else of a crater with a tree growing in it but cannot now find it. In north-central China there's a scale model of the disputed border region of Aksai Chin border, which is claimed by both India and China. The model terrain is nearly 1km long and appears to be next to a military base. The Google Earth placemarks and more background information are at Google Earth Blog. I have a post here about the scale model as well: Huangyangtan. Hi People ..I live approximately one mile from this sight..It is called cinder lake and it is over run every holiday by quads, dirt bikes, sand rails, etc...It is still beautiful country here but there it is horrible on holiday weekends...If you want to see it go any other time...it is located on Hwy 89 north leaving Flagstaff, about 7 mile past the Flagstaff Mall...When you reach Sunset Blvd. go half a mile and the turn off is to the right or east...Follow it and you'll drive up on it, can't possibly miss it..Good hunting..